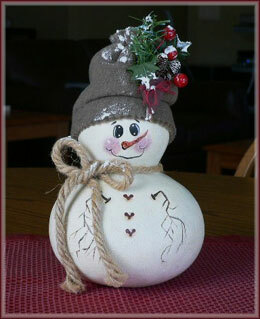 This cute snowman was painted from a design by Terrye French. Some patterns never grow old. It is from her painting book “Winter Holly and Christmas Jolly” published in 2000. As always, snowmen are so much fun to paint. It was painted on a metal coffee can, the ones that is becoming antiques and most people throw in the dumpsters. Not the crafters … no no no … we save everything. It’s great to be able to use a painting surface that is free and available. 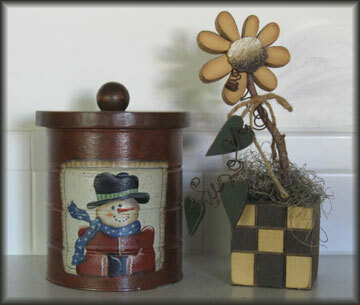 The flower is made of wood and is a charming addition to any country and primitive home decor. 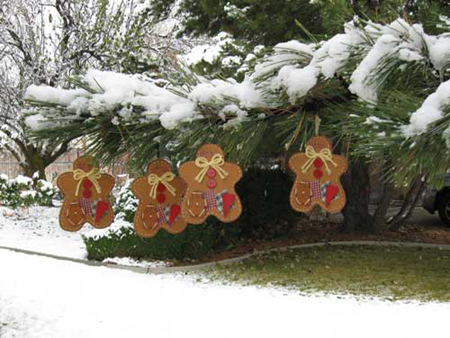 This entry was posted in Misc painted crafts, Painted wood crafts and tagged hand painted, snowmen, winter crafts on Tuesday, November 30, 2010 by Betty. These funky little snowmen are delighted that Christmas is just around the corner. The ones on the left are having a snowball fight. The pot in the middle has gone green, while the snowmen on the right is just happy to be alive. Truly adorable, mini flower pots can be used in so many ways. Fill them with candles, almonds, potpourri, a packet of seeds, or even toothpicks. They can be used as party favors all wrapped up in cellophane and tied with a pretty ribbon. Present a beautifully potted plant at each place setting for a breathtaking display. It will add color to the table and your guests can take home a practical gift. 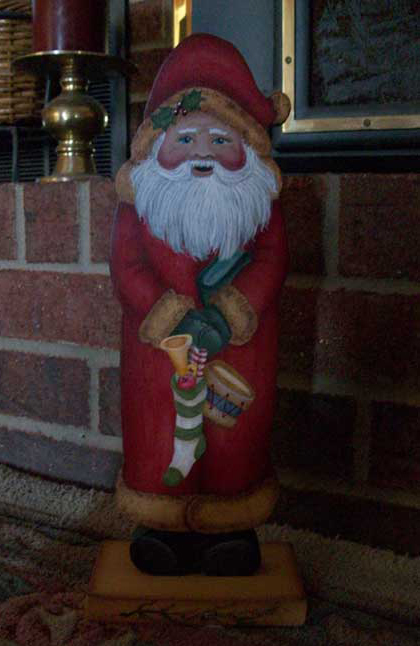 Stay tuned and I will be showing more Christmas goodies in my next posts. 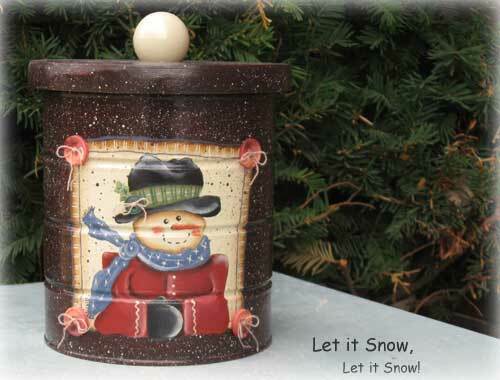 This entry was posted in Misc painted crafts and tagged clay pots, hand painted, snowmen, winter crafts on Wednesday, November 17, 2010 by Betty. What do you do with a gourd that looks like a snowman. Only one thing, get out your acrylic paint. Look through your fabric stash for material to make a warm top hat and then rummage around for decorations. Isn’t it fun to make something useful out of somethings not so useful. This snowman will be so happy and love you forever. Coming next, “There’s A pumpkin in the Gourd Patch”. 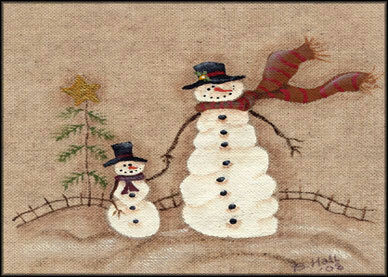 This entry was posted in Misc painted crafts and tagged hand painted, snowman, winter crafts on Monday, October 4, 2010 by Betty.